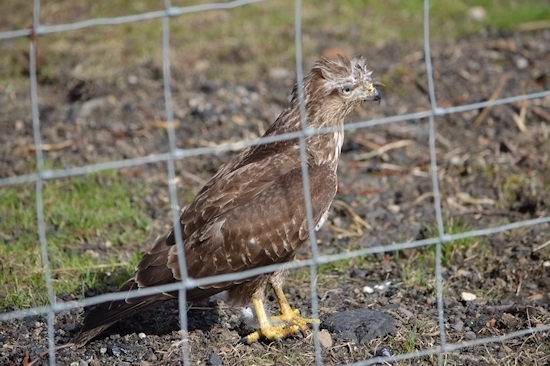 This afternoon, 17/3/2014 there was an injured Common Buzzard in the grounds (the grassy area by the path) at the Woolen Mill in Kinross, It may have been hit by a car. It was mobile but not keen to fly, or couldn't. Maybe worth a look on Tuesday morning to see if it has recovered or needs assistance. We've been in touch with someone to go and check it out. For next time or anyone else who spots an injured bird and wants to get it some help, the number for the SSPCA is 03000 999 999.